Citroen Berlingo wins International Van of the Year 2019! He's Back ... The Man From The Factory Is Returning This September! Charles Hurst Citroen is delighted to be sponsoring local school, Loughshore Educational Resource centre to compete in a formula one competition. Charles Hurst Citroen are now offering Driving Instructors a courtesy car with dual controls to enable them to continue teaching their clients while their vehicle is in for service work. Top Gear magazine announces the all new Citroen C4 Cactus as their ‘Hatchback of the Year’ in their annual Car of the Year Awards. A Yorkshire man is making his own headway in the French vehicle market – by restoring and exporting classic Citroën 2CV cars back to the country. Buyers of the Citroën C1 have been singing the model’s praises for years, and now it has been recognised for its reliability by consumer advice experts Which?. Charles Hurst Citroen Sponsor Belfast Giants! Charles Hurst Citroen is proud to announce their sponsorship of the Belfast Giants for the upcoming 14-15 ice hockey season. 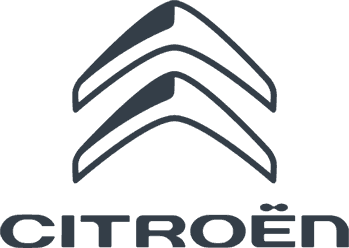 2014 has proven to be a prosperous year so far for Citroën, as the French carmaker has reported a sales jump during the first six months. Citroën has once again teamed up with Benefit Cosmetics to develop a limited edition DS3 model, and the dynamically-styled vehicle is available now. Citroën has unveiled a dual line-up of fresh faced new vehicles at the Goodwood Festival of Speed this weekend. The distinctive new C4 Cactus and stylish new C1 were both shown for the first time at Goodwood’s annual celebration of motoring. The long-standing Citroën and Teletrac partnership reached a milestone recently, when a Berlingo van became the 100,000th Citroën LCV to feature Teletrac’s telematics system. Insurance premiums are one running cost that depends largely on the driver’s personal profile, and Citroën’s C1 allows buyers of all experience levels to enjoy lower rates when compared to many other vehicles. The annual Women in Business BBQ quiz night took place on the 12th June at Hillmount Garden Centre and this year's sponsor was Charles Hurst Citroen. After months of speculation, the emergence of DS as a new line, separate to Citroën, has now been confirmed by the manufacturer. The New Citroen Cactus is now available to buy or test drive at Charles Hurst Citroen, Belfast and combines impressive, innovative styling with practical functionality - you'll not find a more striking vehicle! In advance of the Paris Motor Show in October 2014, Citroën has previewed a new look for the DS range in the form of a Divine DS concept car.